↑ British urban pattern: population data (PDF). ESPON project 1.4.3 Study on Urban Functions 120–121. European Union – European Spatial Planning Observation Network (March 2007). آرشیولنیب اصلی نۆسخه‌دن on 24 September 2015. یوْخلانیلیب30 March 2015. 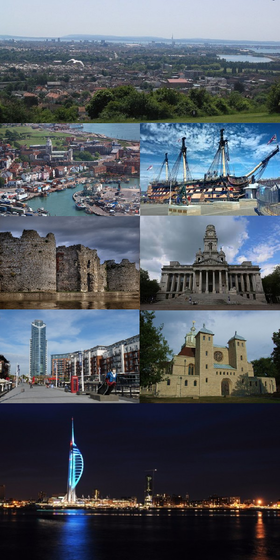 ↑ Portsmouth Census Summary, Hampshire County Council. یوْخلانیلیب29 March 2015. ↑ Ethnic Group by District. 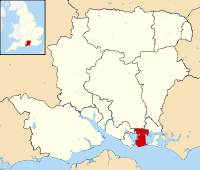 Hampshire County Council (2011). یوْخلانیلیب3 October 2016.